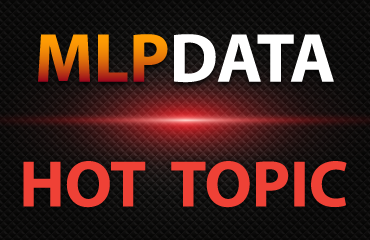 MLP DATA - Midstream Contracts Rejected in Bankruptcy, How Does this Impact MLPs? Midstream Contracts Rejected in Bankruptcy, How Does this Impact MLPs? Thank you for sharing Midstream Contracts Rejected in Bankruptcy, How Does this Impact MLPs?. Your email has been sent. Midstream Master Limited Partnerships should be designed to generate a base level of operating cash flows in return for making infrastructure available to producers. If a midstream company intends to develop new gathering or pipeline systems, they require that producers commit to future use of the infrastructure, ensuring a level of return on their investment over a considerable period of time. In the case where a Master Limited Partnership acquires existing assets from either a Sponsor, via dropdown, or by way of a market purchase, the assets are purchased assuming a base level of cash flows. Without the cash flows, the EBITDA multiple on such acquisitions would be significantly lower than those which have occurred over the past 5 years. Prior to the crude crash, the industry has coined and marketed these base cash flows as Fixed Fee, Take or Pay, and Minimum Volume commitments, suggesting that they are low risk cash flows. Over the past year, MLP investors have learned that these contracts are not as "guaranteed" as often suggested, but to date have not regarded these agreements as easily terminated. MLP management teams have been adamant about the staying power of these agreements, if a producer were to enter bankruptcy. During the Q4 earnings calls, most MLPs outlined their counter party exposure to risky producers, but assumed that all of the revenue would not be at risk if they all petitioned for bankruptcy. However, there are two cases winding their way through the court system which may impact these base line cash flows assumptions, specifically related to the obligations of the producer if they declare bankruptcy, and either operate or sell the assets thereafter. Earlier this year on July 15th, Sabine Oil and Gas filed a petition for relief under Chapter 11 and in doing so, filed a motion to reject the 10 year dedicated acreage gas and condensate gathering contracts, governed by Texas law, in place with Nordheim Eagle Ford Gathering LLC, a subsidiary of Cheniere Energy . Sabine also petitioned to reject their Production Gathering, Treating and Processing agreement with HPIP as well as a Water and Acid Handling agreement in place since May 2014. The Debtors argued that the company is no longer able to produce the necessary volumes required by the agreements, and the deficiency payments would impose a considerable and unnecessary drain on resources, indicating that new gathering agreements could be contracted at much lower rates. Through September 2015, Sabine paid $2.7MM in deficiency payments related to their gathering agreements, on roughly $26MM of total gathering fees recording through the same period. HPIP and Nordheim argued that the gathering agreements run with the land, and are not subject to rejection On Tuesday, Judge Chapman ruled that the midstream contracts could be rejected on the basis that the Debtors did not reject the contracts out of bad faith, whim, or caprice, meaning there would be no obligations of future payments. The Judge did not determine that the gathering agreements do not run with the land per se, but suggested that argument was outside the scope of the motion, although the Court did provide a non binding opinion. QRCI did not pay an uneconomic Canadian gathering and processing commitment, which included significant unused firm capacity, due in late February 2015.. In early March 2015, the third-party service provider issued a demand letter regarding the missed payment and suspended service resulting in our Horn River Asset production being shut-in. 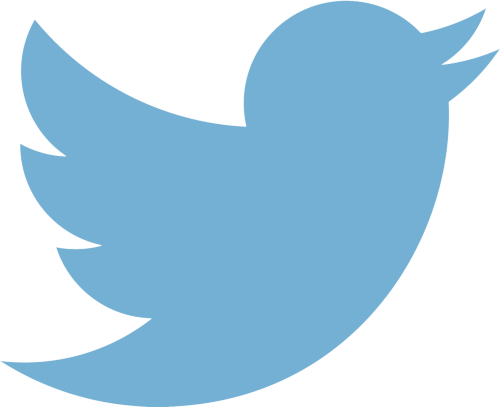 Further, a termination notice was issued by the third-party service provider effective March 19, 2015. We continue to explore alternative to gather and process our Horn River Asset production; however, we may not be able to find economic alternatives in the near-term, or at all, and production may remain shut-in. Judge Silverstein indicated she will do her best to render a decision by the March 31st deadline for Bluestone to complete their purchase of the Quicksilver assets. A decision which allows the gathering agreements to be terminated will likely be a key factor in the sale of future acreage by struggling producers. MLP Management teams will now be pressed to provide greater transparency of their agreements and counter-parties, as likely will be finding their producer "partners" a little more emboldened with their concession requests. 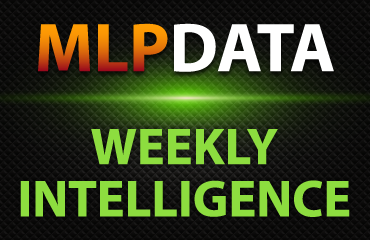 MLPData will provide updates to the Quicksilver case, and any other additional disclosures related to the midstream contract rejections or re-negotiations.